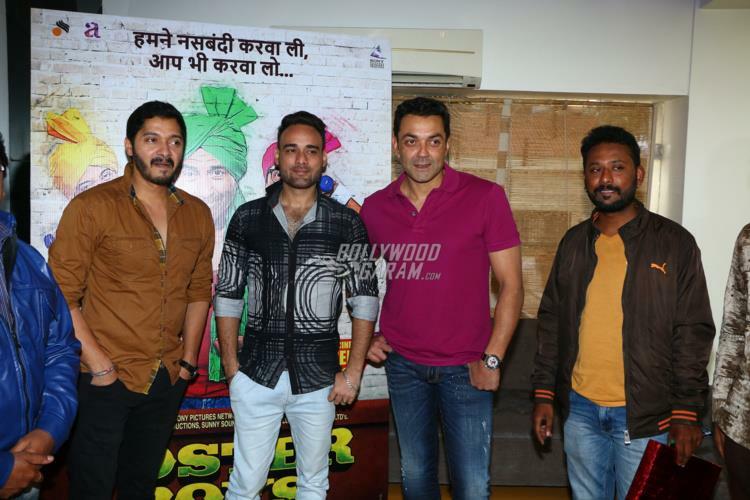 Shreyas Talpade and Bobby Deol, who will soon be seen in Poster Boys and were snapped at a promotional event in Mumbai on August 2, 2017. The two unveiled limited edition Poster Boys T-shirts and even interacted with a few eager fans at the event. 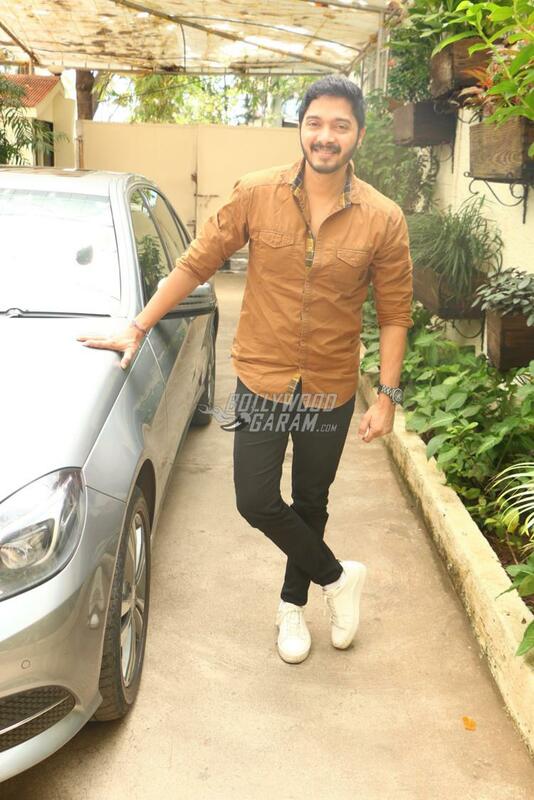 The film is a remake of the Marathi film Poshter Boyz. The story revolves around three men, who find their pictures printed on a poster promoting vasectomy, without their permission. The film shows the journey of the three men who get humiliated by their families, society and eventually stand up for their rights. Produced by Sunny Sounds Pvt. 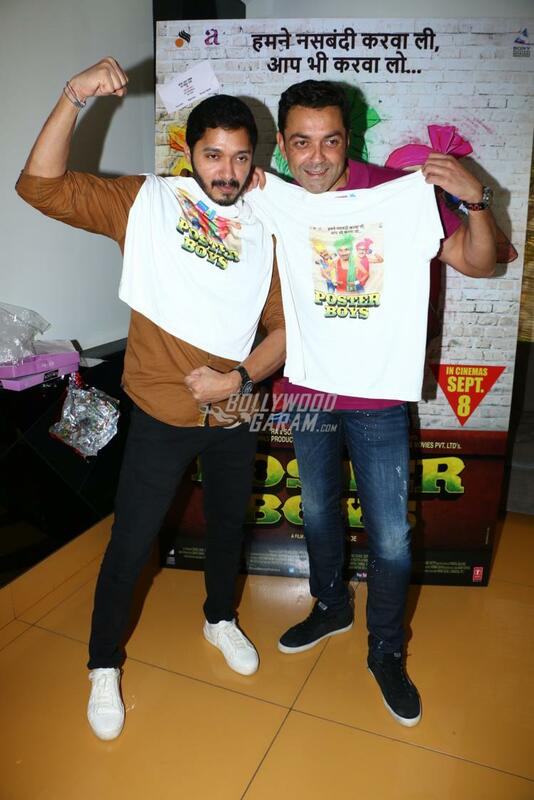 Ltd, Shreyas Talpade and Deepti Talpade, Poster Boys releases on September 8, 2017. 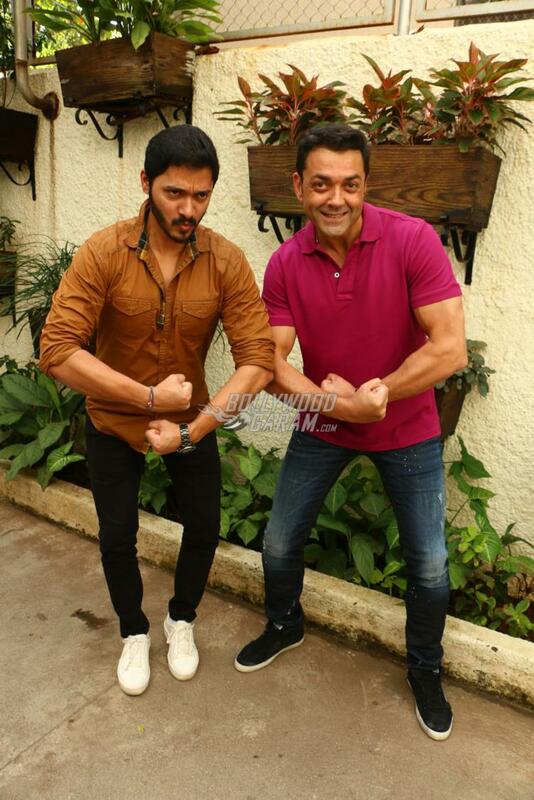 Shreyas Talpade and Bobby Deol get goofy for the shutterbugs!